United Airlines stops dolphin and whale transports after public outrage. Original post here on Cetacean News Network As previously reported on Cetacean News Network, United Airlines had stopped short of an anti-captivity policy by still providing live transport services for dolphins and whales. I confirmed this through private emails with cargo management that started weeks ago. "United and Northwest did not return my calls." Co-founders of Voices For The Sea, Faye Bauer and Lindsey Graves know that that's like. United media relations didn't return their correspondence either. They were inspired by a WDC report about live transfers and decided to make it their first mission. Operation Dolphin-Safe Airlines was created to stop 8 transport companies from continuing to service the captivity industry. Besides petitions to ULS Cargo, Korean Air, DHL, Fedex, Asiana Airlines, Nankai Express, United was on the Top 3 of their target list. After Voices For The Sea reached out to United, who refused to comment on their current live transport business or confirm being dolphin-safe at the time so Bauer started a petition to create awareness for United to take a stand for (or against) their role in the captivity trade. So far 5125 signed (and tweeted) in agreement. The petition was shared by many Facebook groups, followed by numerous and spontaneous personal tweet storms. But then PETA took United off the hook prematurely by claiming in an article on Seaworld Of Hurt that United has stopped their relationship with Seaworld. Actually, United had merely stopped featuring Seaworld vacations on their front page but they were still lingering in the background with vacation packages on the United site. United has since removed all Seaworld Vacations from their site, but not ALL Seaworld ties have been confirmed to be cut yet. However, United wasn't off the hook about live transfers, and that's what started my involvement in this situation. Faye Bauer had introduced me to the issue of United's inhumane business policy through her petition. I noticed the PETA article was making its way through the rumor mill, well-meaning people were applauding United...so I decided to investigate on my own. I still continued the "covert op", answering email threads with key United Cargo managers about my bogus shipment. At no time during these weeks did they refuse to service this cargo shipment of dolphins. In fact it was full-steam ahead with only a matter of paperwork to be completed. They all knew they were transporting two Atlantic bottle nose dolphins. "As of October 6, 2014 United does not accept dolphins or whales to or from any location. United will not be able to transport these dolphins at this time. " - United Cargo It was a perfect storm. 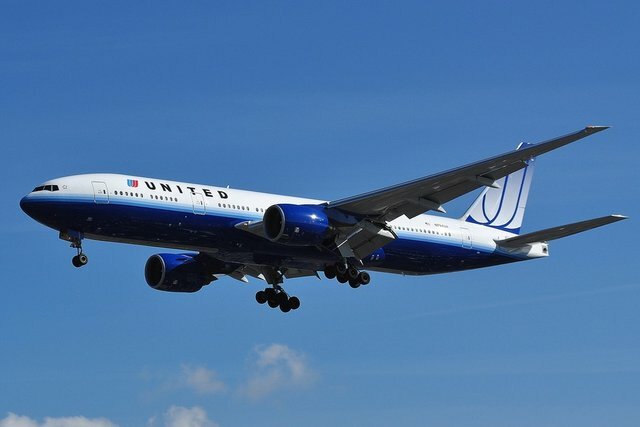 "We are thrilled to hear that United Airlines has updated their policy to stop transporting Cetaceans. The process is not only a direct link to the drive hunts, but is proven to be very stressful on the animals. We hope the other airlines follow suit, making it more and more difficult for the industry to transport these marine mammals. We would like to thank everyone involved in this project and all the individuals and groups for signing and sharing the petition! We would also like to thank you, Maral for breaking this story originally and including our petition in your article which drove up the petition numbers significantly." Please let United know how happy you are they are now a dolphin-safe airlines. As important as this call-to-action was, it's as important to thank those brave enough to take a stand against the greedy industry of live transports. And although United has not come out and said so, you will not find any vacation deals for Seaworld anymore on United's vacation site. In the end, like all great things, it took a village. "I do not know specifics, but to my understanding we have not been transporting these animals for quite some time." For quite some time? They might have wanted to advise their cargo management about this policy which was not addressed in at least the last two years or even in the last month when there was a storm directed at their social media accounts. In 2012, ProWal did an in-depth investigation into United Airlines among 60 other carriers who still transported cetaceans. " 61 airlines or air cargo companies already transport dolphins or at least were not unwilling - United Airlines was among them according to ProWal. Either someone is sleeping at the wheel or they are backpedaling but in either case this is great news for the anti-captivity movement. More updates to come including the email screen shots of the my bogus transfer of dolphins using United Cargo...stay tuned.